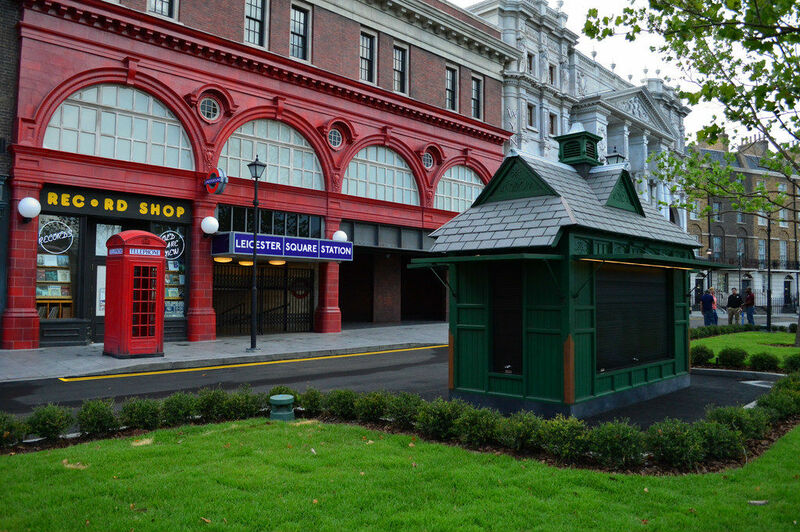 This week’s SATURDAY SIX covers the Six Reasons We Love the London Waterfront Area of Universal Studios Florida. Wait a minute, didn’t we already do a Saturday Six on Harambe Nights for this week? Yes we did, but the construction walls came down earlier this week, and our excitement level about Diagon Alley is at a fever pitch. Now that we’ve had a day or two to pick our jaws up off the ground, it’s time to present those items that blow our minds by looking at what is the most elaborate facade in theme park history. 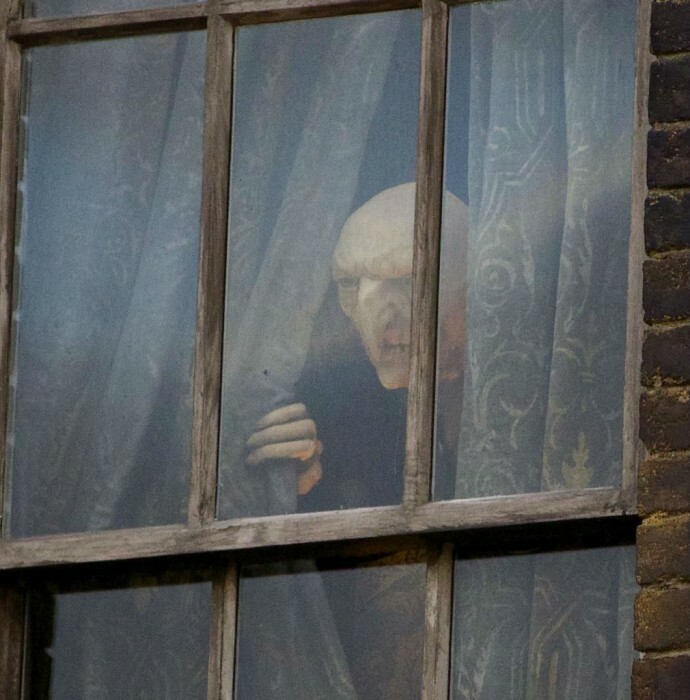 To quote German poet and professional basketball player Dirk Nowtizki, we can basically SHUT IT DOWN right now as Kreacher peeking through the curtains at 12 Grimmauld Place is everything that makes the Wizarding World of Harry Potter the gold standard in theme parks today. 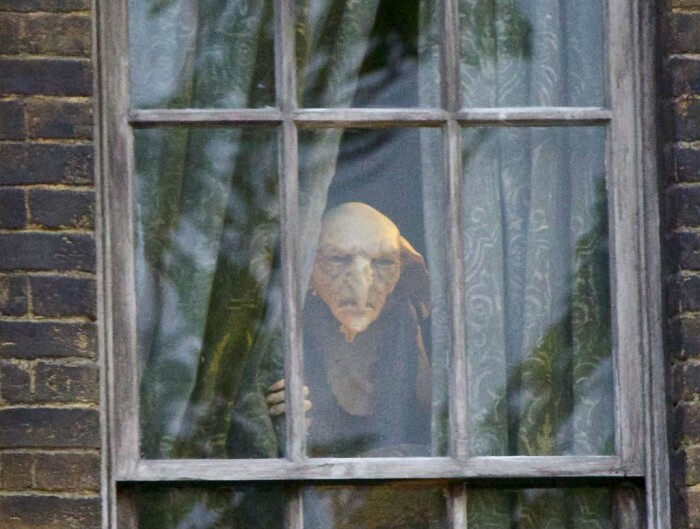 A Kreacher animatronic is taking fan service to the Nth degree and will make anyone who has ready the Potter books or has seen the movies to almost swoon in disbelief. Before you even walk through the doors, Universal Creative has shown they get it. A jacket potato? What will those Brits come up with next? 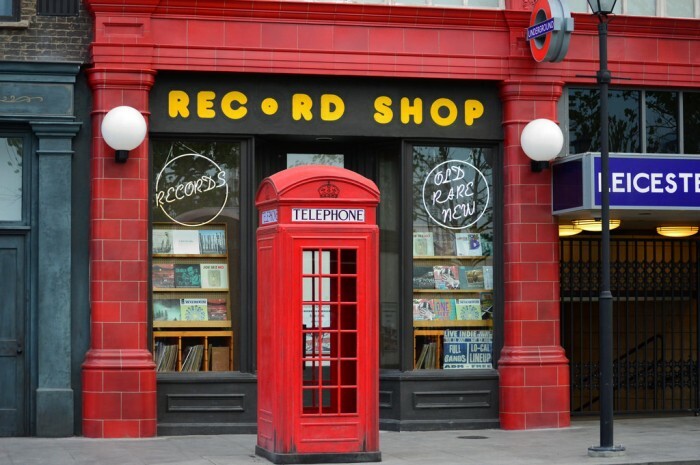 There will be two retail opportunities outside the London Waterfront, one for merchandise and the other for food. The two locations will be cleverly housed within a cabman’s shelter. 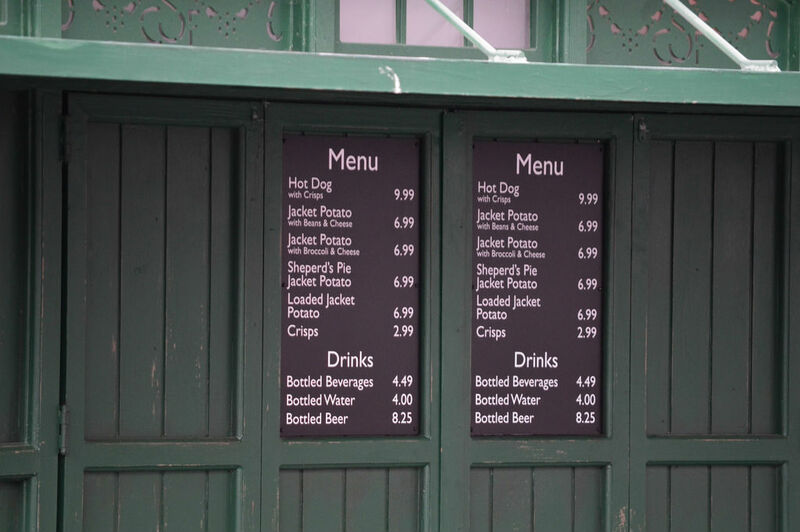 Merchandise will include shirts and pins focusing on England, itself, while the grab and go food items include “crisps” (potato chips) and “jacket” potatoes (baked potatoes). 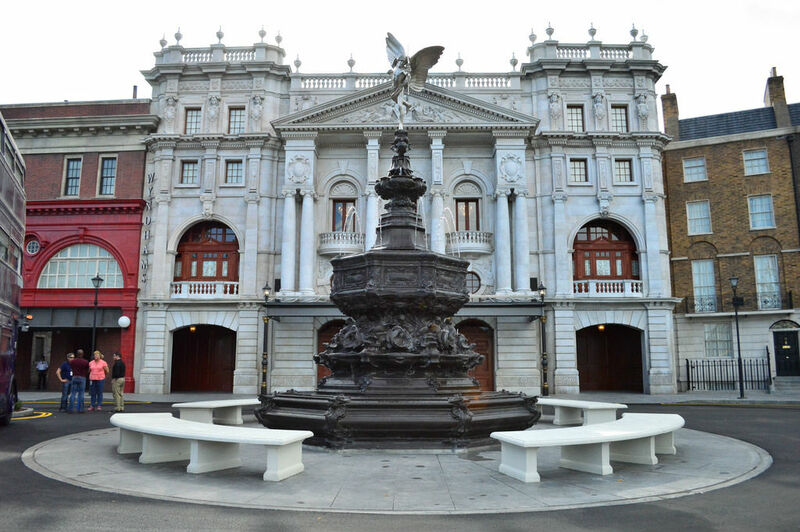 The detail from top to bottom of this new fountain is absolutely stunning. 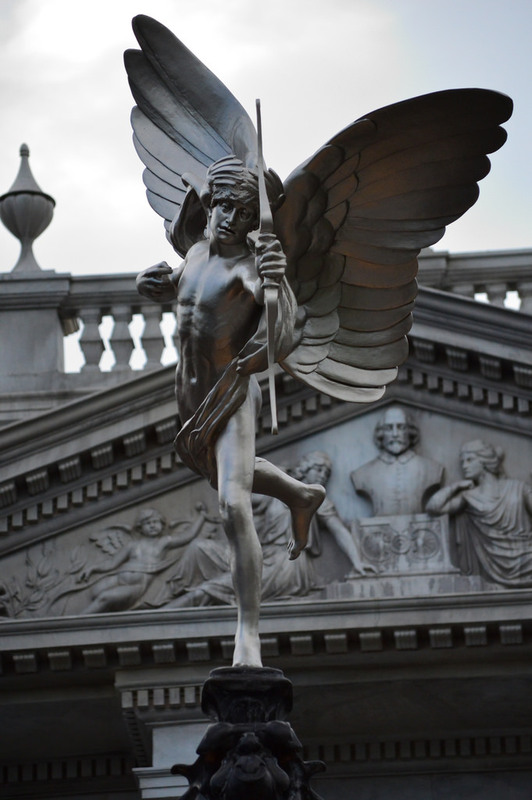 A recreation of the Shaftesbury memorial fountain with a statue of Eros that can be seen in Piccadilly Circus, this fountain will be one of the most popular photo ops in the park. 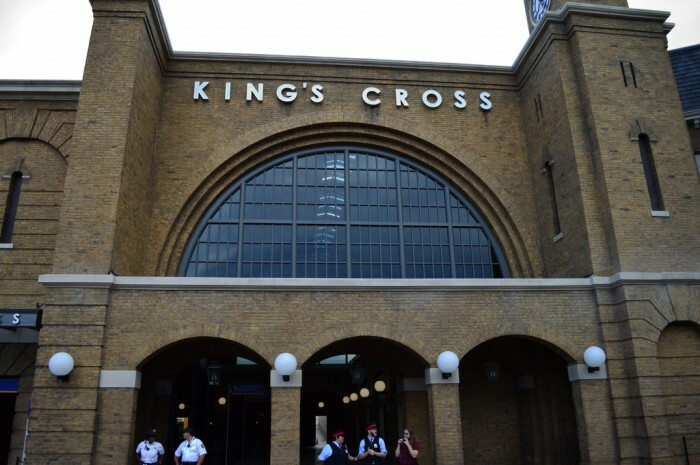 Within King’s Cross Station lies the Hogwarts Express, the first attraction in theme park history that will travel between two different theme parks. A seminal moment in Harry Potter lore, going through Platform 9¾ is a rite of passage for all first years making their pilgrimage to Hogwarts. Now it is here. In Orlando. Tissues will be provided for those that need them. 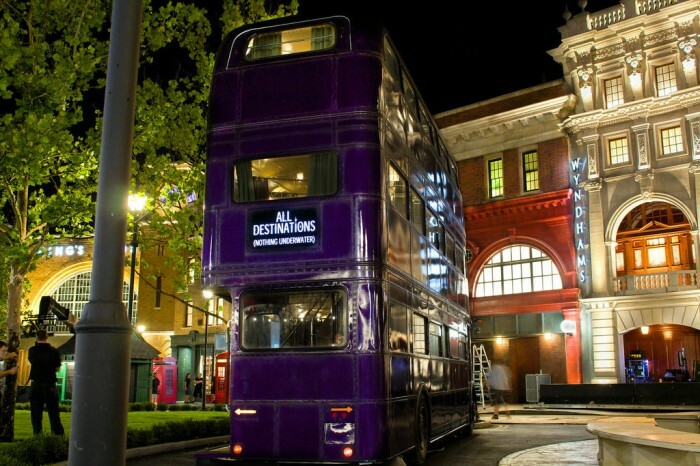 Both Wizarding Worlds (Hogsmeade Village and Diagon Alley) are heavily influenced by the movie versions of Harry Potter, and when Prisoner of Azkaban was released in the theaters, we all realized how much more there was to this “Universe,” and it all started with the Knight Bus. 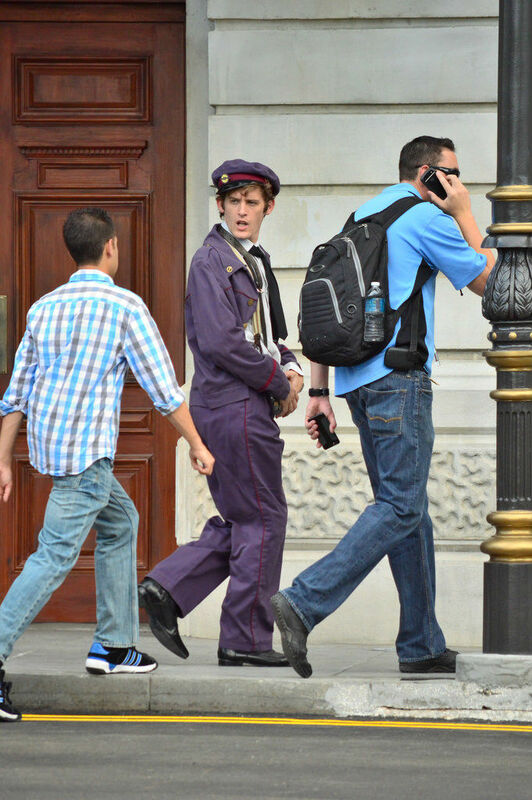 An unforgettable scene that had both humor and thrills, the Knight Bus takes something as normal and pedestrian as a bus ride and made it completely unique and original. Not only will guests be able to take photos of the Knight Bus, but Universal will have two interactive elements: the Knight Bus conductor and shrunken heads. 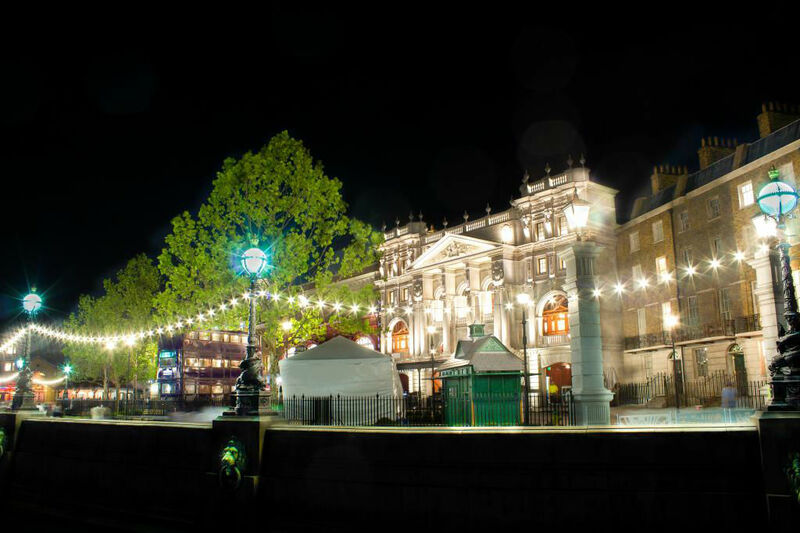 The new area of London looks fantastic during the day, but at night it becomes – pardon the phrase – magical. The lighting elements combined with the beautiful architecture transports guests to a different world. Until a couple years ago, Universal Studios Florida had a hard time keeping guests later in the day. The Cinematic Spectacular nighttime show, Transformers: The Ride 3D, and the Springfield USA expansion has helped keep more people in the park longer, but how the London area looks at night is a real game changer. Now muggles are going to be dragged away kicking and screaming, wanting to spend one more minute…take one last picture…enjoy one more second of Universal’s crowning achievements. HONORABLE MENTION – EVERYTHING ELSE! There are too many “little things” to bring up, and we don’t want this list to turn into the Saturday Sixty, but it is safe to say that everything is absolutely pitch perfect and we are singing Everything Is Awesome on a constant loop. The key word for anything recreated in the Wizarding World at the Universal parks is “authenticity,” and this area is the real deal. 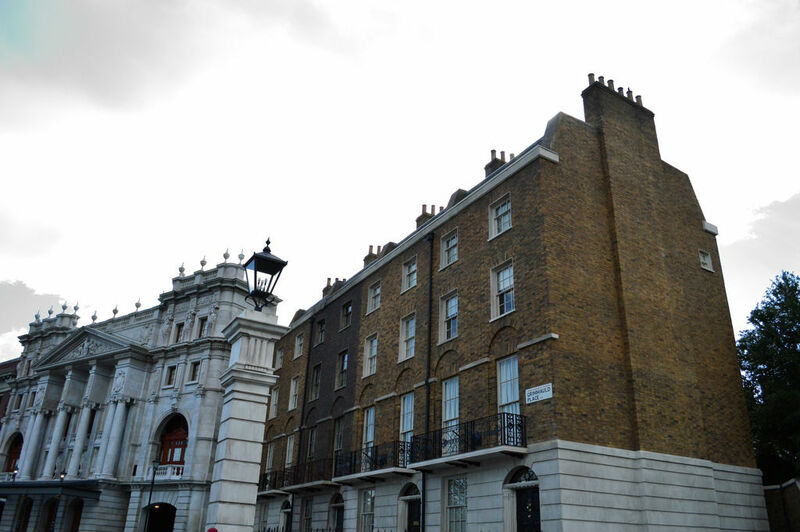 So there you have it: Six Reasons Why We Love the London Waterfront Area at Universal Studios Florida. See you next weekend for the latest edition of the Saturday Six, where we just may head deeper into Diagon Alley itself.. If you had fun, be sure to check out The Magic, The Memories, and Merch! articles or, for your listening pleasure, check out Pardon the Pixie Dust podcast. Special thanks to crack staff photographer Brandon Glover and Universal forum legend HateToFly for their assistance on this article. 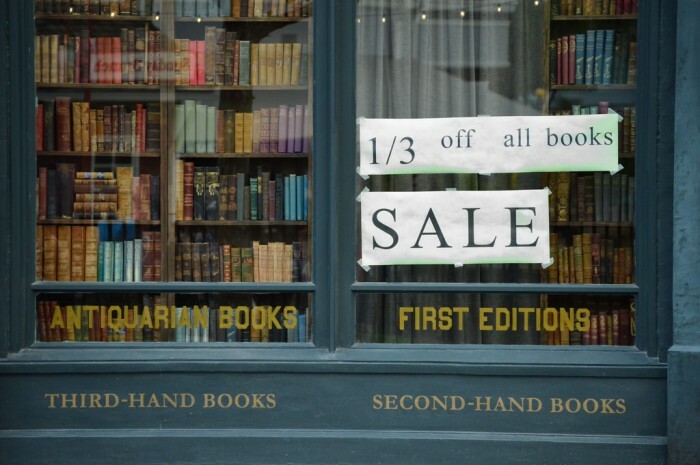 This has me even more excited for Diagon Alley. We just left Orlando last week and was disappointed there were no soft openings. But, I may just have to schedule a weekend trip before the end of the year. Awesome details!! !